Question: Are you waiting or preparing for something? There is a belief that no one should ever receive a thing too soon, the cost of doing so, could be far greater then the duration of the wait. 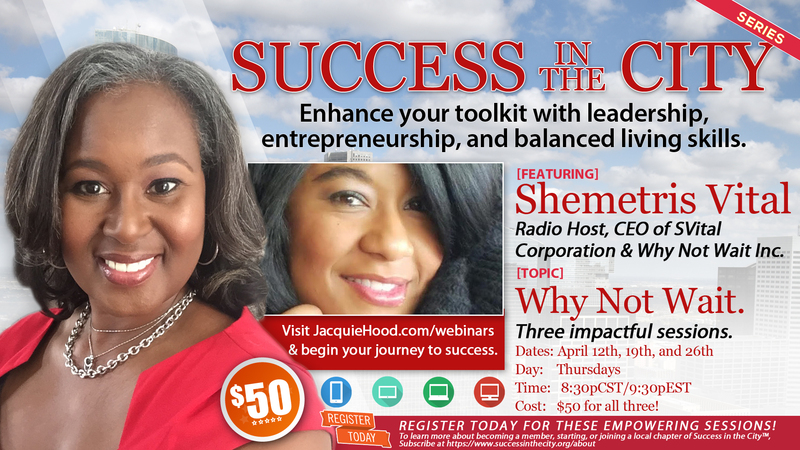 Join us for a 3-part Success in the City Series with guest Shemetris Vital, of Why Not Wait. Three impactful sessions. Cost: $50 for all three! The course is designed to help direct participants to learn, reflect, and grow from the challenges that transitions create. Life can throw curve balls that cause normalcy to appear unsustainable. When one area is under control three others are in crisis mode all at the same time! Is it possible to have a life that has balance, order, and where we are not constantly overwhelmed by change and transitions? Simply put the answer is YES! WARNING: Managing life transitions may require a paradigm shift! But YES, there can be balance, order, and calm in YOUR life, even in the middle of transition! 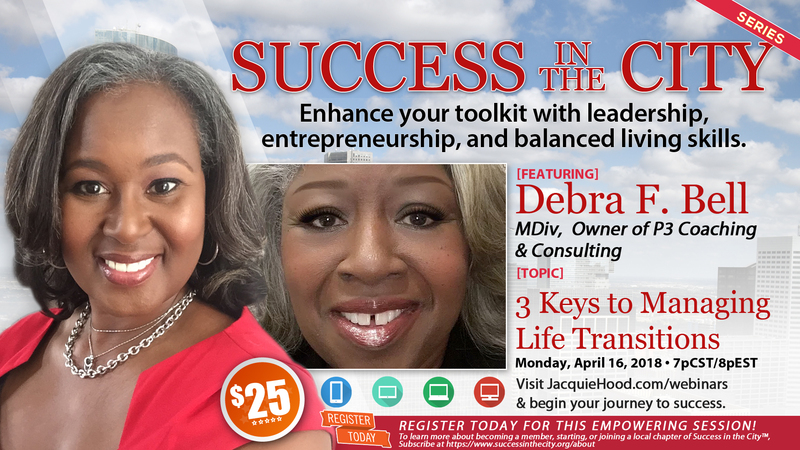 Join us for “3 Keys to Managing Life Transitions” with guest Debra F. Bell, Owner of P3 Coaching And Consulting.